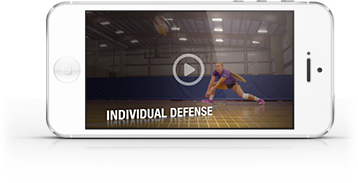 Two-time Brazilian Olympian and Head Coach at Instinct Volleyball Club Cilene Drewnick uses this drill to improve her players’ reaction times. How it works: Players start facing away from the coach in ready position. The coach then gives a signal ("go") for the player to quickly turn around, while the coach throws a ball somewhere around them. The player must react quickly to catch the incoming ball. The drill can be taken to the next level by having the players turn and dig the ball in place of catching it.